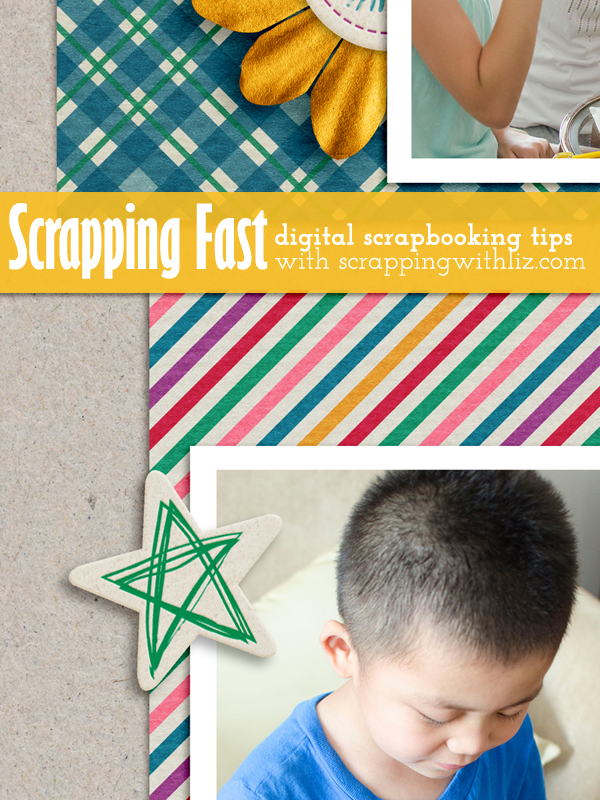 Scrapping with Liz: When I Want to Scrap Fast! Lately I've really been feeling the need to finish up Matthew's Album, and with my limited time (hello: 5 kids, homeschooling, running a business, etc...) I have just a couple of hours to scrap a week. In that time I NEED to scrap fast. I've come down with a system that helps me crank out the pages quickly. I thought I would share it with you in case you have the same problem with time that I do. Here are my steps. I usually do one step a day, about 4 days a week. 1. Organize and edit pictures first (30 minutes). For Matthew's Album I'm focusing on one day worth of pictures at a time. I delete the pictures I know I won't use. I group them by event or outing into separate folders. Usually those separate folders represent a single or double page spread. That way when I'm ready to scrap I know what kind of template I need. 2. 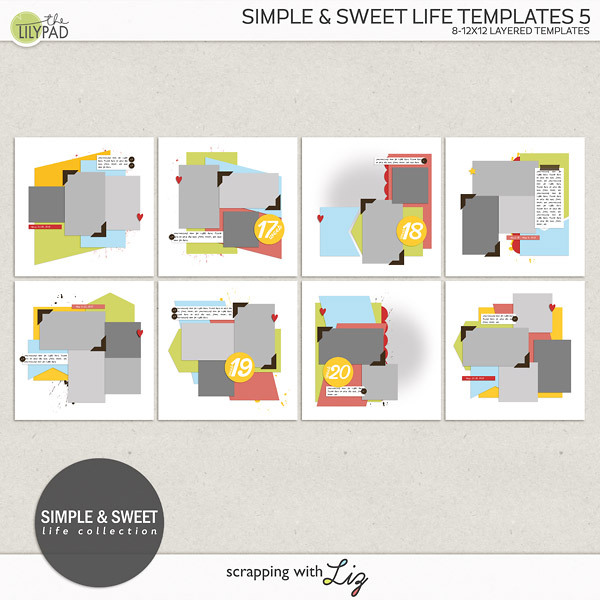 Place pictures in templates (30 minutes). 3. Make sure I have kits to go with each page (10 minutes). Then I'll scan the pages I put together and the kits I have to see if I might need anything new. There's always an excuse to go shopping. But truth be told, I save a lot of time if I use things I already have. And goodness knows I have enough! If I do buy anything new I download, unzip and organize it so it's ready to go. Now it's time to add all the fun stuff to the page. With Matthew's pages I've actually been deleting a lot of the extra stuff on the template and telling myself I don't need a lot of extra elements (although they are very tempting). Check out these two pages: Minimal elements, and they are some of my latest favorites. I know some of you can scrap super fast using a lot of stuff, but I just can't. So I keep it simple. Do what works for you. I'm just sharing what works for me. With these steps laid out like this I can scrap about 6-8 pages a week in about 2-3 hours. Not too bad. I have 6 templates with photos of Matthew in them just calling my name. 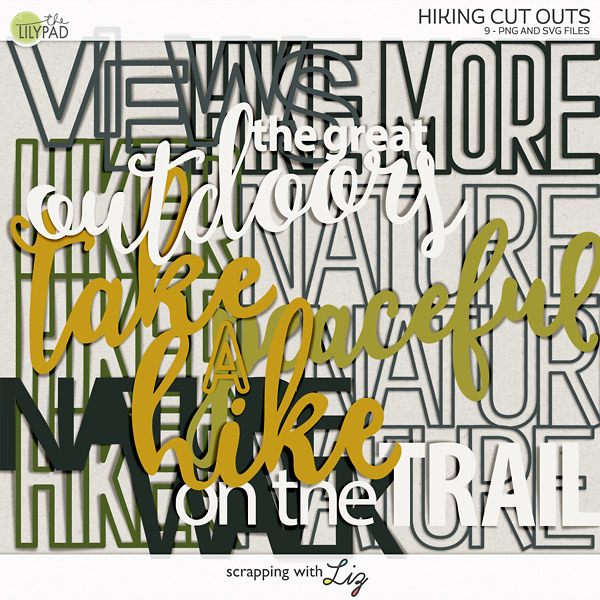 It's time for a scrapping session. P.S. After searching on my blog I realized I've blogged about this before. Still using almost the same exact process 3 years later. I do. I use some from Megan Turnidge, but I also have some of my own that I saved. Definitely a time saver. Thank you so much for sharing your tips. They are very very helpful!!! I hope they help, Zsuszi!